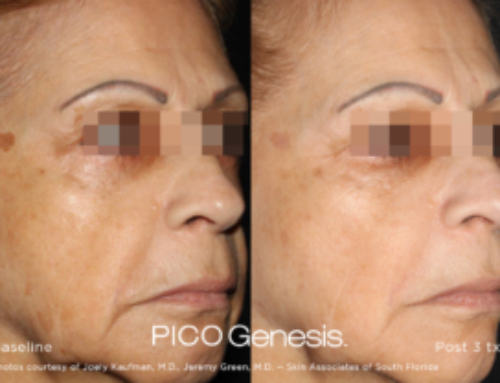 Tips on non-invasive anti-aging treatments to maintain healthy and youthful skin. 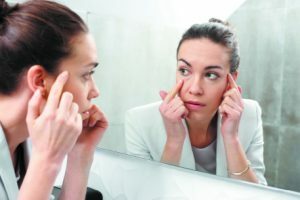 There comes a time in every woman’s life when the mirror reflects a face that appears tired, stressed and lackluster—in need of repair, freshening and rejuvenation. Mirabile M.D. Beauty, Health and Wellness, a convenient one-stop shop for overall wellness, offers MedCosmetic, the med spa division. 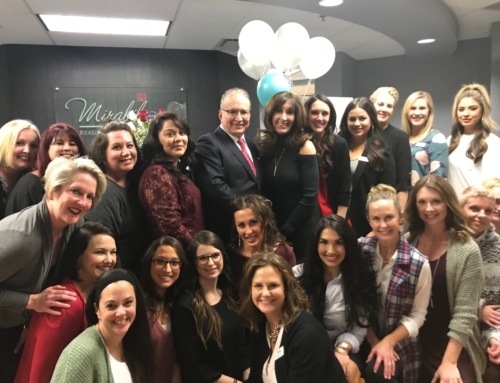 Dr. Mirabile evaluates every product and treatment, approves all protocols and handpicks staff to best represent his patient care philosophy. The MedCosmetic staff includes three registered nurses, three licensed estheticians and a medical assistant. MedCosmetic features the latest cutting-edge non-surgical skincare solutions for women—and men—in the region. 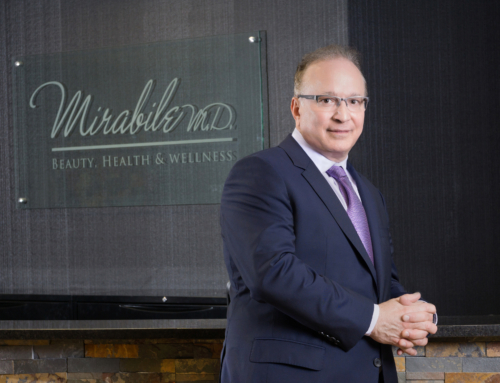 Considered a pioneer in the aesthetics industry, Dr. Mirabile is also the onsite medical director of Mirabile M.D. Beauty, Health and Wellness. Since 1999, patients have received well-researched, effective treatments in a professional caring environment—a reputation important to Jennifer when it came to decisions about her ongoing skincare. 1,300 percent in the last 20 years. Environmental factors play a role in how an individual’s skin ages, along with genetics. MedCosmetic offers the latest injectables, including Juvederm® for a smooth and supple appearance around the nose and mouth; Juvederm Voluma® XC to provide an instant lift to the cheek area while providing an upward pull of wrinkles on the lower face; Radiesse® for moderate to severe wrinkles—the first dermal filler approved for hands; Scupltra® Aesthetic, which targets the underlying causes of facial aging by replacing lost collagen; and Restylane® Silk, designed for the mouth area, including thinning lips and vertical lip lines. Dr. Mirabile likens the benefits to getting on the anti-aging fast track sooner to preventive medicine. “Addressing concerns earlier can keep deep wrinkles from forming in the first place,” he says. In addition to neuromodulators, Jennifer chose dermaplaning, an exfoliation method that gently scrapes off the top layer of the skin’s dead cells and facial hair—or “peach fuzz”— to create a smoother, brighter complexion. 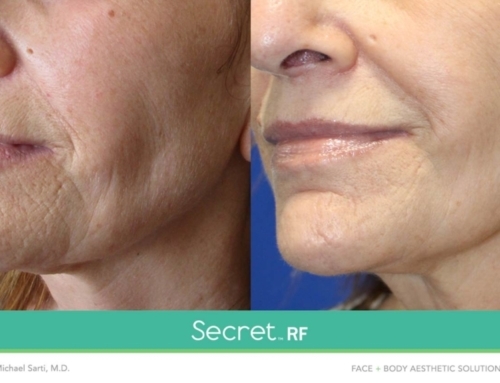 She also opted for monthly HydraFacials, a patented technology that cleanses, extracts and exfoliates. Mirabile M.D. Beauty, Health and Wellness offers Dr. Mirabile’s exclusive skincare collection. Affordably priced, the non-toxic, premium line includes a foaming cleanser, gentle toner, moisturizer with a powerful sunscreen, and more. All are free of the three P’s commonly found in many skincare products—petroleum, phthalates, and parabens. This holiday season, rediscover your skin’s vibrancy at Mirabile M.D. Beauty, Health and Wellness. Here’s a quick reference guide on some of the most popular treatments at MedCosmetic. HydraFacial M.D. : This luxurious, relaxing treatment, suitable for all skin types, provides cleansing, exfoliation, extractions and antioxidant hydration, and targets specific concerns, such as sun damage, acne, fine lines and wrinkles. Dermaplaning: This exfoliating treatment gently removes dead skin cells and fine facial hair, resulting in softer, smoother skin texture and brighter skin tone. Clear + Brilliant: Patients notice visibly illuminated skin tone, smoother skin texture and reduction of pores with this unique, gentle laser treatment. Ultherapy: The only FDA-approved, non-invasive treatment for tightening and lifting neck skin and the chin, brow and décolletage. Mirabile M.D. is Kansas City’s only Ulthera Center of Excellence. 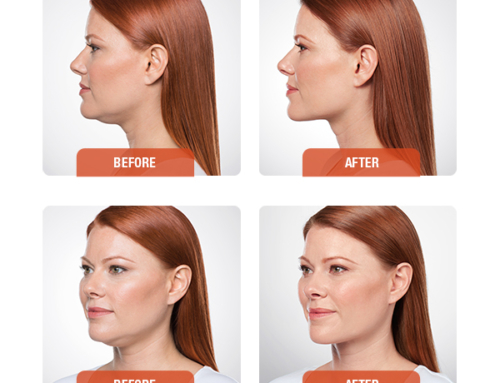 Cosmetic Injectables: Botox, Dysport, dermal fillers and Sculptra effectively erase wrinkles and restore lost facial volume due to aging and collagen loss. Vaginal Rejuvenation: The team offers two technologies, Geneveve® and ThermiVa®. Hormonal changes, aging and childbirth all affect a woman’s feminine wellness. Issues like vaginal laxity, urinary leakage, vaginal dryness and sexual issues can all be resolved non-surgically. Is PICO Genesis Right for You? January 3rd, 2019 | Comments Off on Is PICO Genesis Right for You? January 3rd, 2019 | Comments Off on What is Secret RF? October 30th, 2018 | Comments Off on What Are Kybella Injections?